Jewelives Industrial manufacturer is a professional factory,on the market of silicone & Rubber watch,sports watch,Silicone bracelets watch,waterproof watch,fashion watch,wrist watch,digital watch,LED watch with the strength of high quality & competitive price. 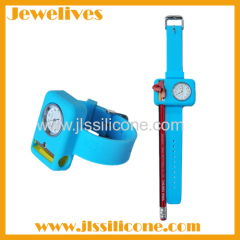 Jewelives Silicone wristband watch is a kinds of waterproof sport watches. 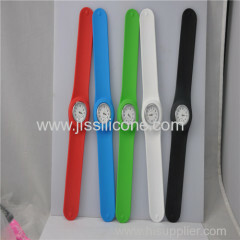 Jewelives Slicone wristband watch in High quality with competitive price. Jewelives Fashion Sport Silicone bracelet Watches can be waterproof in hot pink for lady use. Dirrect Factory offer the Fashion Sports Silicone Rubber Bracelets watches Jelly watches with High quality + Cheapest price+ Best service. Pop white Silicone Watch with Silicone & Rubber brand & Digital watch in high quality with competive price. Silicon strap design, makes it soft and comfortable to wear. Silicone watch is Sport warch with rubber & silicone brands. 1.Nice shape , good looking. ~Eco-Friendly, Softness, Non-stick, easy cleaning. Group of Silicone Watch has been presented above, want more	Silicone Watch and Waterproof watch slicone & Rubber, Please Contact Us.